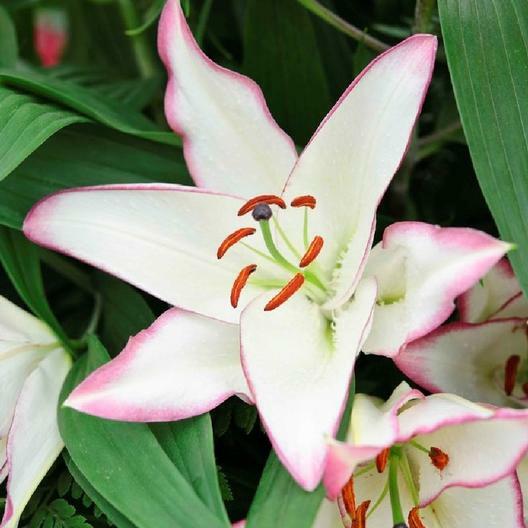 Take your garden to the edge with this beautiful new Lily! The Edge Lily bulbs have a unique look that will distinguish it from the rest of your garden. Snowy white petals are lined with pink around the edges to create soft elegance in the planting area. And they smell great, too!